We're going to borrow this drill from our neighbors to the north, Hockey Canada. It is an easy drill to modify into small or large spaces and it can work for any age. 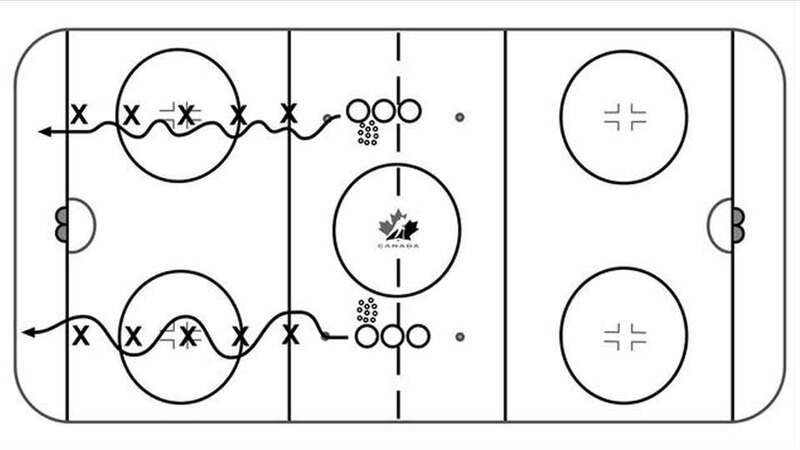 You can also get creative with each side without moving the cones, like making it into a 2-on-0 with a shot.